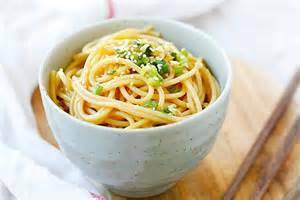 Recipes - Sides - Toasted sesame , Lemongrass, and Garlic Noodles - Salado Olive Oil Co.
Toasted Sesame Lemongrass and Garlic Oil is calling my name and I have to answer with a lovely and easy dish idea that tastes great warm and even better cold the next day. Give our Toasted Sesame Oil a try and experience one of the world's oldest condiments. Yum!